Quickly, their conversation shifted to the practicalities: How does someone transition from male to female? “He really wanted to do surgery,” the counselor recalled. “He was mostly afraid of being alone, being ostracized or somehow weird.” To the counselor, it was clear Manning was in crisis. “I feel like a monster,” he’d typed on his computer several times. The statement referred partly to his gender struggles but more to his job. He’d taken an oath not to divulge this type of information. But then it spilled out. He told the counselor about a targeting mission gone bad in Basra. 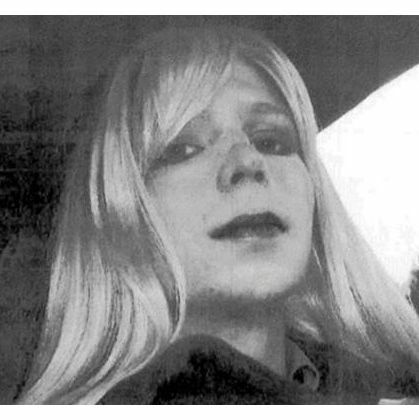 Manning’s defense team also cited her gender identity disorder, or gender dysphoria, which combined with various mental health issues, resulted in “severe emotional distress at the time of the alleged offenses.” Manning had hoped the military would solve her gender questions, but it only complicated them. “I don’t think people understand what hormone-replacement therapy does,” said Lauren McNamara, a transgender woman who testified for Manning’s defense. “This is something that’s the best anti-depressant, anti-anxiety drug I have ever been on. Denying people access to this treatment just because they’re in prison is simply inhumane.” While Manning has taken a big step, her struggle is far from over.